An arrest and trial for driving under the influence can create almost as many problems as a conviction for what Ohio state statutes call operating a vehicle while intoxicated (OVI). The officer can make an administrative license suspension that works just like a court-ordered suspension and applies equally to the suspect’s commercial driver’s license. Also, the arrest can appear on the suspect’s driving record even if no conviction results. That will translate into higher insurance premiums and the possible loss of job opportunities that require driving company vehicles. 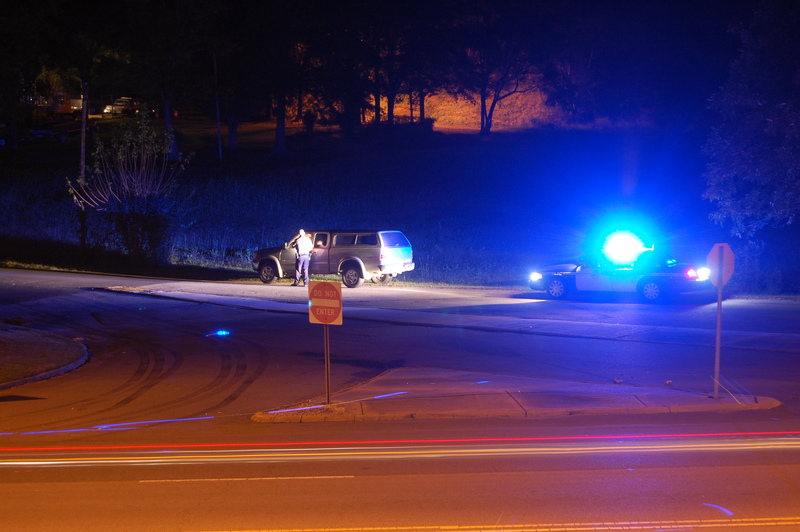 Handling an OVI/DUI stop calmly and competently can go a long way toward avoiding charges and penalties. While each situation presents different challenges, any driver who gets pulled over under suspicion of drinking before taking the wheel will help themselves by doing the following things. This should go without saying, but all drivers must pull over to the side of the road or enter a parking lot when signaled to do so. Taking too long to respond appropriately to a siren and flashing lights can bring charges for feeling or eluding. It will also likely put the police officer in a bad mood. Do not roll down your window or take out your license, vehicle registration, and proof of insurance until the officer is at your door. Never do anything that an officer can interpret as reaching for a weapon or attempting to flee. Any Columbus Ohio DUI attorney worth his or her defense fee will agree that the worst thing a driver pulled over for suspicion of drinking can do is get chatty. Police officers take training in listening for slurred speech and mental confusion. The more a suspected drunk driver talks, the more chances the officer has to observe indications of intoxication. No matter what you have read, seen, or heard elsewhere, you cannot refuse a police officer’s request to show your license and other requested documents during a traffic stop. Refusing to do so may be interpreted as a sign of drunkenness. Also, failure to comply with lawful orders is itself an arrestable offense. Last, just about the worst thing an OVI/DUI suspect can do is insist that the stop violates his or her constitutional rights. Becoming argumentative, like being noncompliant, only escalates tensions, prompts an officer to suspect more than alcohol use, and exposes you to charges unrelated to driving under the influence. Again, you must comply with a police officer’s lawful orders or face arrest. Refusing to blow into a tube will not increase your risk for being taken into custody. On the other hand, volunteering to do a Breathalyzer test can greatly increase your chances of getting arrested and charged with OVI. Ohio courts do not recognize the results of blood alcohol concentration (BAC) readings taken with handheld devices by the side of the road. Most Ohio police officers do not even carry breath-testing devices, but some counties and cities allow officers to use them to collect preliminary evidence to validate an arrest. Your Fifth Amendment right to refuse to incriminate yourself extends to saying no when a police officer asks you to perform field sobriety tests. Declining requests to let the officer track your eye movements, watch you stand on one leg, and observe you as you walk a straight line can protect you from providing evidence that can be used against you at trial. An officer can still arrest you if you do not do the tests, but giving up as little evidence as possible during the OVI/DUI stop can benefit you later. A police officer who pulls over a driver for suspicion of drinking is allowed to look through the car’s windows and act on any evidence of illegal activity he or she sees. An officer can also perform a safety pat-down when a driver gets out of a vehicle. What an officer cannot do, in most circumstances, is open a trunk or enter a vehicle without permission, a warrant, or a justifiable emergency situation like the presence of a clearly visible weapon. The rules on doing vehicle searches when empty alcohol containers are clearly visible are a bit complicated. You can learn more about drunk and drugged driving stops and also discuss defenses against OVI charges by contacting a Columbus Ohio DUI lawyer at The Maher Law Firm. Call (614) 205-2208 to schedule an appointment or connect with us online.